Bhubaneswar: Ending all speculation, senior politician Bijay Mohapatra, who had resigned from the BJP four months ago, returned to the party on Thursday. After BJP national vice-president Baijayant Panda and party’s Odisha leader Arun Singh paid a visit to Mohapatra at his Nayapalli residence and held a detailed discussion on Thursday morning, Mohapatra returned to the saffron party. During their visit, BJP president Amit Shah also had a telephonic conversation with Mohapatra and convinced him to return to the party. “As elections are approaching, we have decided to intensify our campaign and fight unitedly to bring about a change in Odisha by defeating the BJD,” Mohapatra said. 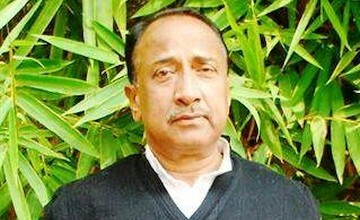 Mohapatra is likely to contest from Mahakalapada assembly constituency in Kandrapara district. Mohapatra along with former Union minister Dilip Ray had resigned from the BJP on November 30. In 2000, Mohapatra was expelled from the BJD by Naveen Patnaik. Thereafter he formed the Odisha Gana Parishad (OGP) in 2001 and merged his party with the Nationalist Congress Party (NCP) but quit before the 2009 elections. He then joined BJP. However, he had quit the party November 30 last year citing the indifference which was being meted out to him.